You know what matters most about a craft beer is the tasty content inside the packaging. But with ever increasing competition, it might get tough to rely on just the product to sell itself. Sometimes taste alone is not enough to get your craft beer noticed and moving off the shelves. Branding and packaging play a major role in the growth of your brewery and your brand. With more craft breweries selling thousands of brands at retail, the beer choices for consumers are seemingly endless. New beer varieties are constantly entering the marketplace and shelf space is at a premium. 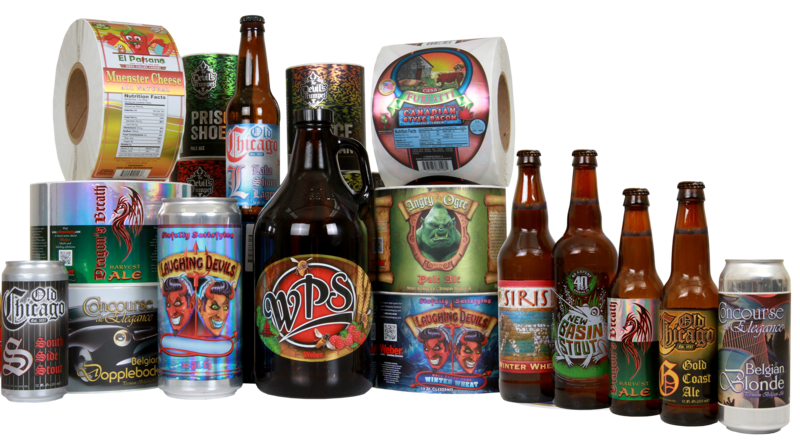 Breweries are relying on package differentiation to grab consumers’ attention at the retail point of sale. The importance of designing your custom beverage labels to tell your brand’s story is key, and the label design can have a big impact on shelf presence. We are going to cover the pressure-sensitive label material choices you have and why it has a bigger impact than you might think. Getting a perfect-looking label on a can or bottle requires some planning. The Craft Brewers Conference's BrewExpo was an exciting and informative event for Weber. We talked to brewers from all over the world about their craft beer packaging problems. And we learned quite a bit about their challenges as they're just starting out or beginning to grow out of their current processes. The show itself included 10,000 brewers and more than 800 exhibitors. It's clear that craft beer is a fast-growing industry. While beer overall has been trending down, craft beer has continued to rise nearly 13% last year. This show encompassed not just the major players in craft beer but also the brewery-in-planning people who are just starting out. BrewExpo gave them a great opportunity to learn about the business and also talk to the experts of everything from brewing equipment to the final packaging details. So what challenges are craft brewers facing today? Craft beer is growing at an unprecedented rate and there are now more breweries in the US than ever before. With over 4,400 breweries (and growing! ), brewers are facing even more competition for the hearts of beer lovers. As you start to grow your brewery, consider how your final package stands up to the competition on the store shelves.
.@BrewersAssoc "1,500-2,000 new breweries possible in next yr or 2"
Getting your beer to sell outside of your taproom or local area is key for your distribution growth. 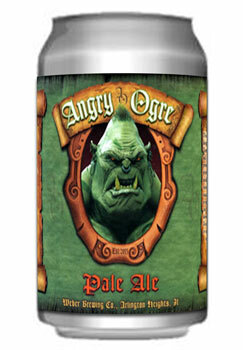 To get customers interested, you have to take the time to tell your brand's story through your craft beer label design. It has to be unique and memorable. The most popular labels in our booth at CBC were the metallic material labels especially ones that had the reflective qualities built into the design. We got a lot of comments about those because the artwork really pops off the label. We're excited to be exhibiting at BrewExpo America during the 2016 Craft Brewers Conference in just a few short weeks! The conference takes place May 3 - 6 and you can visit our booth (961) during the trade show from May 4 - 6 in the Philadelphia Convention Center. Brewers will have the chance to meet with over 800 vendors who specialize in everything you could need for your brewery from tax resources to large brewing equipment. For the last few of years we have enjoyed helping small breweries grow their brands with labels, labeling equipment and ink jet coders. 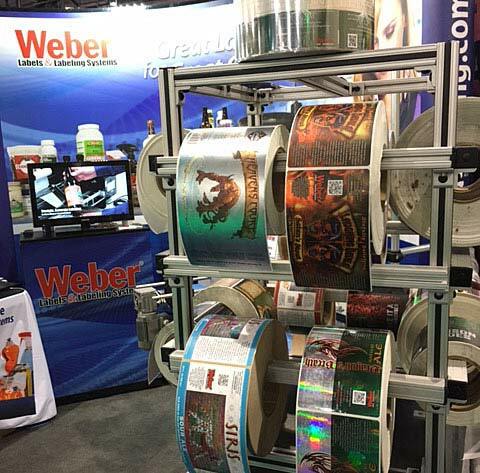 Weber's booth will have beautiful examples of beautiful pressure-sensitive beer labels that are suitable for bottles and some that can even be applied to beer cans. In addition to seeing the labels on rolls and applied to the products, we'll be giving away samples of our top beer label materials so you can take them back to your brewery and test them with your product. There are many different types of label materials now available including white films, clear films, metalized films, Estate papers and and even wood! Get inspired with these designs from local breweries and our in-house Graphics Team. 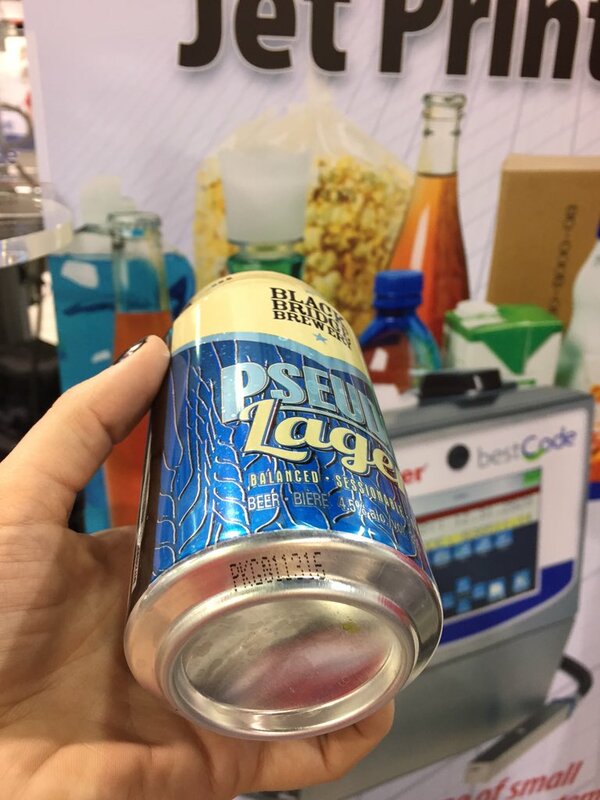 We've talked about our three options for craft beer labeling equipment for bottles and cans and now you'll be able to see one of those systems live in our booth! In our BrewExpo booth #961 we'll be demoing our Model 121 Wrap-Around Label Applicator. You'll notice this unit is compact and easy to use and is adjustable so you can apply labels to both cans and bottles. This all-in-one labeling system is on wheels so you can roll it to your bottling or canning line, apply labels to your batch, then roll it out of the way. Our most popular craft beer product is our BestCode ink jet system. This printer is easy to use and cleanly applies the coding you need on your cans. The ink jet printer can be a stand alone unit with its own stand or attached to the your packaging line. The system is easy to use, requires minimum maintenance, and carries a 2 year manufacturers warranty. See a live demo of this ink jet printer coding bottles and cans, or request a Weber expert to visit your brewery and give you an on-site demo. Cans are quickly becoming a popular choice among craft brewers for distributing their beer. Whether your cans are pre-printed, labeled or covered in a shrink sleeve, you'll probably need to add a code to edge or bottom of the can. Today we're going to talk about the coding you'll need to add to the can whether they're pre-printed, sleeved or labeled. This information is important for traceability through the supply chain and will be key to following up if there is a problem with your beer. If there's an issue, you'll want to be able to track exactly where the problem occurred and how much was of your batch was affected. This helps brewers address the dilemma quickly. Having a "born on date" also gives the customer information on the beer's freshness. There is flexibility in how you code your product. For instance, you don't have to put a separate date and lot code. Instead you can use one code that cross references a lot code and package date. That code can be looked up to cross reference both pieces of information for recalls. You can also have some fun with the coding. Some breweries leave messages on the cans! Today there isn't a legal requirement for brewers to add this coding - yet. However, in anticipation of this change, most brewers who are expanding their distribution will be smart to set up a traceability method with ink jet coding. For years craft brewers chose glass bottles to package their beer. The glass container was seen as the only viable option for small operations. Brewers were able to buy glass bottles in bulk and then label them on-site with minimal investment in packaging equipment. For many consumers, they believed the quality of the beer would be better if the beverage was stored in glass. There was also the belief that canned beer would leave a metallic taste from the aluminum. But a lot has changed in packaging technology. In the last few years, the aluminum industry has found ways to make the cans more light-weight and they're squashing the flavor myth. Additionally, cans are recycled more and, because of their opaque material, they preserve the flavor longer than glass. Due to its recylability and preservation, some consumers are reaching for cans more than bottles these days. But the one drawback that still makes it difficult for craft brewers to switch to cans is the high minimums of pre-printed cans and the cost of canning machinery. A solution to this can vs. bottle debate is to use blank cans with pressure-sensitive labels. Brewers can buy the blank cans in bulk without storing thousands of pre-printed cans may become obsolete. To manage your inventory, you can order custom labels based on the quantity you want to apply without holding onto extra materials. If you're still growing, you might not have the storage space to store all those preprinted cans. Some breweries are moving to shrink sleeve label material for their cans. This is a great solution but you'll still need to have the volume that allows for the investment of the application equipment. It's not something that can be applied by hand. If you're just starting out, or want to label both cans and bottles, pressure-sensitive labels will keep your look consistent and keep the packaging cost down. The same equipment used to label your 12oz or 22oz beer bottles will also work for your cans. Plus, if you decide to want to offer crowlers at your taproom, you can apply the pressure-sensitive labels straight to the can without large labeling equipment.